Moss covered furniture is the next biggest thing. You heard it here first. So of course I want to grow my own moss furniture, and I have a plan. 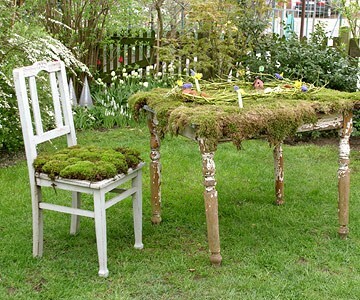 The plan includes finding moss, collecting the moss, making the moss grow, and then gluing it to some old chairs. This cannot possibly fail, right? Lucky for me, I have moss growing on the stones of my driveway. Day 23 of Project 365 complete. Step one of Project Moss success! This entry was posted in Uncategorized and tagged Gardening, Photography, Project 365. Bookmark the permalink. 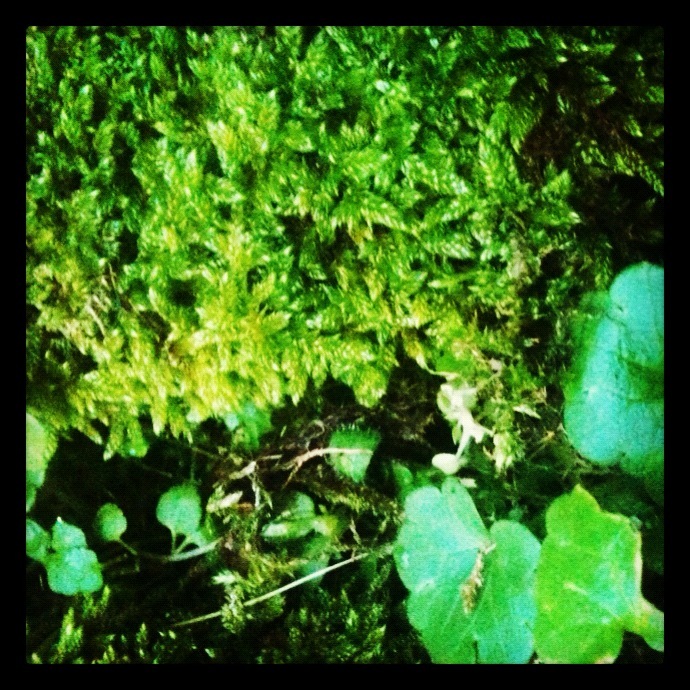 I am a moss fan like your project. I’ve heard you can make moss grow by spreading over wood or dirt in a north facing area. I have never tried it though. You’re 365 project is interesting, I am going to try it. I hope you post pics from your project! This is very interesting….I wonder if after sitting on the moss chair after some time if it causes one’s bottom to be damp. I do like moss decorations in which there are mini hills and flowers in a glass jar and it is hung on the wall or somewhere else in home. Green always seems to bring about feelings of serenity.